Playing in a World is a role playing game led by artist Kitty Clark and critic Jamie Sutcliffe. Participants will explore and play in a scenario based on the imagined worlds that Clark’s artworks encompass. The players will become collaborators, working together for a session of experimental world building. 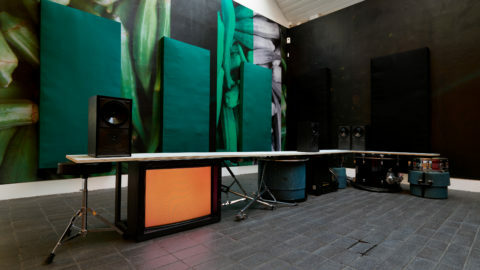 This event accompanies Jerwood Solo Presentations 2019, which showcases new works by Appau Jr Boakye-Yiadom, Kitty Clark and Sofia Mitsola. It is free to attend, booking is required via Eventbrite. Light refreshments will be provided by Gentleman Baristas. London based artist Kitty Clark works across sculpture, installation and digital media. 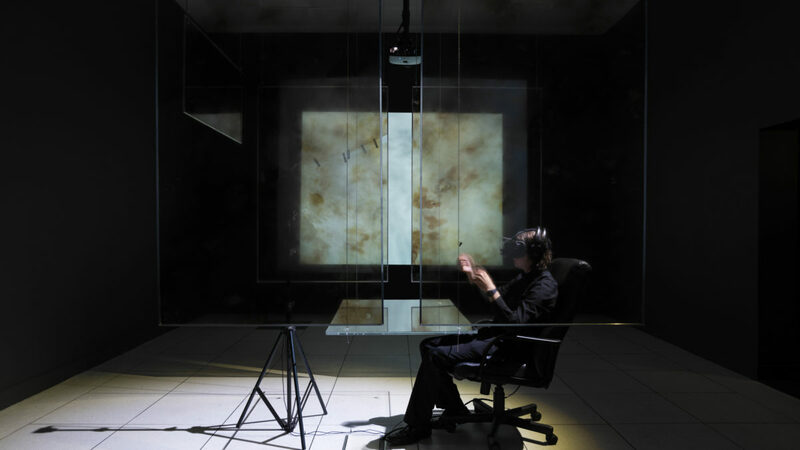 For Jerwood Solo Presentations 2019 she has produced a new immersive sculptural and audio installation which continues her interest in creating semi-fictional environments where ideals, anxieties, and aspirations of the present are played. Clark graduated from the Slade School of Fine Art in 2011. Recent exhibitions and projects include: The Shadow Moses Incident, Primary, Nottingham (2018); Life on Earth, Dinner Party Gallery, London (2018); Spider’s Web is a Stage for a Play, Fungus Press Commissin, Turf Projects, Croydon (2018) and Mr Nobody, Phoenix, Leicester (2016). Her work has been critically reviewed in publications such as Art Monthly, This Is Tomorrow, Huffington Post and Art Licks. Jamie Sutcliffe is an art writer and a publisher at Strange Attractor Press. He regularly writes for Frieze, Art Monthly, Rhizome, The White Review and EROS Journal and is also co-editor of both A-or-ist, a new journal of art writing, and Berserker, an anthology of weird comics and unabashed genre work published by Breakdown Press.